The War Memorial was erected in 1921 at the entrance to Windsor End, to commemorate local men who had fallen in the Great War (WW1). It is of a design known as ‘Lanterne aux Mortes’ with the top lantern supported on an octagonal shaft with a Calvary on its north face. It is one of the few war memorials where the lamp is always alight. The memorial was unveiled by Lord Grenfell. 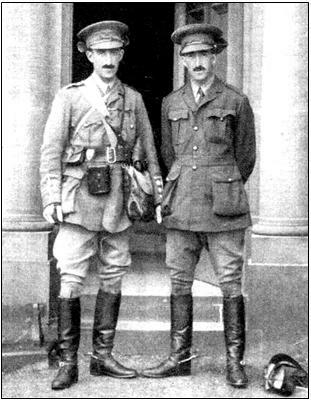 It was a poignant act for him as he had lost both of his nephews in the conflict; Captain Riversdale Grenfell had been killed in 1914 in Flanders and his twin brother, Captain Francis Grenfell, who had gained the first Victoria Cross awarded in WW1, was also killed in Flanders in 1915. The memorial was dedicated by Edward Domett Shaw, the first Bishop of Buckingham who lived at the Bishop’s House in Reynolds Road, now demolished, but commemorated by a block of flats with the same name. Bishop Shaw lost three sons in the war; Lieutenant Arthur Gilbey aged 19, Lieutenant Bernard Henry Gilbert aged 21 and Captain Edward Alfred aged 24. 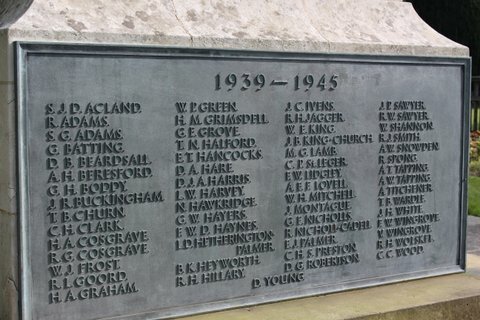 A list giving details of all those killed in the Great War, whose names are on the memorial, can be found at the end of this article. Due to increased traffic and the construction of the roundabout, the memorial was moved to its present position on the green near to St Mary’s Church in 1936. 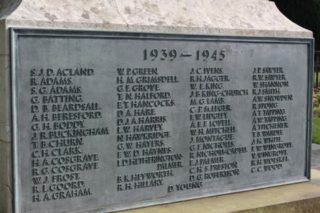 More recently, in 1950, the fourth Lord Burnham unveiled a plaque adding the names of sixty men who had been killed during the Second World War. 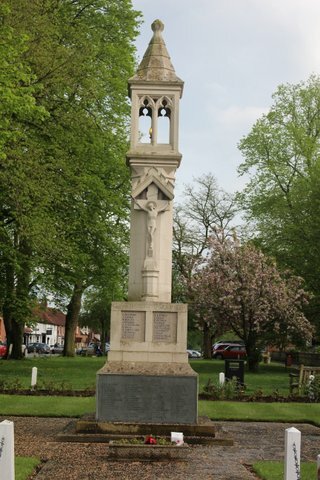 In 2014 all towns where those who had been awarded the Victoria Cross had lived were given a memorial plaque in remembrance of 100 years since the conflict started. Captain Grenfell’s can be found near to the War Memorial, and other memorials to the Grenfells are within the neighbouring church. The War Memorial continues to be the focal point of the town’s annual Remembrance Day services. Regarding the downloadable list of casualties – WIlliam Edward Clarke is listed on the Buckinghamshire Remembers website with full details. The same site also has more on F Stevens and E Webb. Also, the “where killed” for R S Britten needs a fix. I’ll look to see if I can fill any of the other gaps.